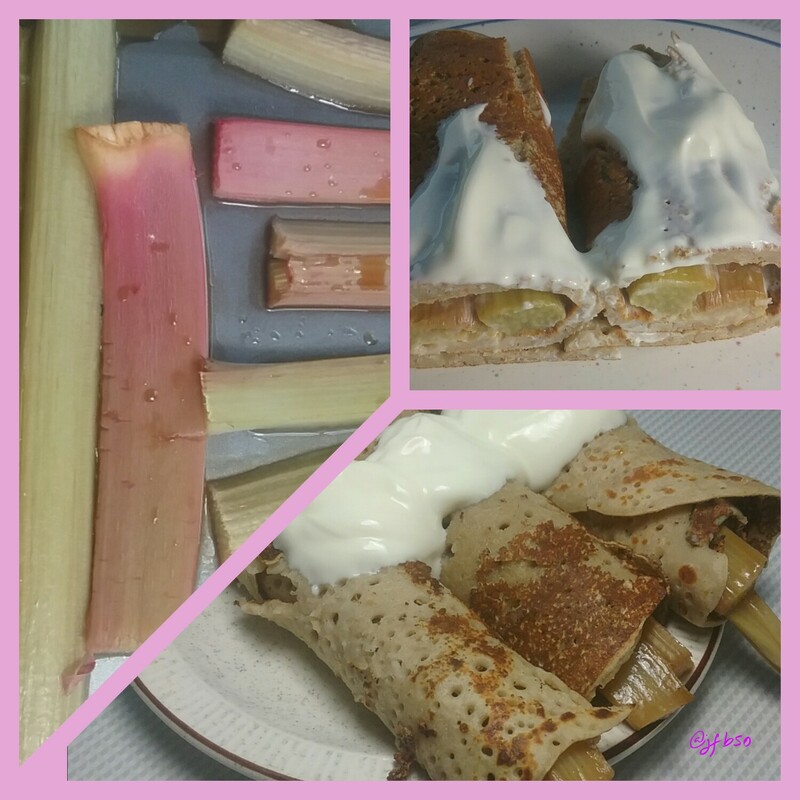 Buckwheat pancakes filled with roasted rhubarb | Jo's food bites. Fresh rhubarb from the garden – sprinkled with light muscovado sugar and roasted until soft. Put the dry ingredients in to a bowl and make a well for the egg. Mix together and slowly add the milk and mix to create a smooth batter.